Powered with high quality features like 125cc EcoThrust engine, TVS Phoenix 125 price in India is Rs. 53,000 (ex show room). 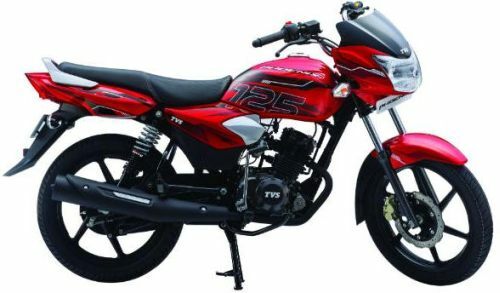 TVS Phoenix 125 price is in mid range and aimed to target executive segment in Indian market. TVS Phoenix 125 features fully digital speedometer, backlit in premium amber and digital fuel gauge aimed to make it highly stylish and modern two wheeler in India. TVS Phoenix 125 mileage is 67 kmpl which makes it highly fuel efficient bike in the market. TVS Phoenix 125 price and features comes as highly suitable package for average Indian two wheeler consumer. TVS Phoenix 125 is powered with 125 cc engine which comes with high pick up which will be very useful in Indian road in heavy traffic jams where consumers need to give frequent breaks. The bike also has ergonomically positioned handle bar which will provide very high level of balance while driving in different road conditions. TVS Phoenix 125 provides maximum torque of 11 PS of power @8000rpm. TVS Phoenix 125 price in this range looks quite affordable and posed to be good comeptitor for different bikes in 125cc segment like Hero Passion, Honda Shine and Bajaj Discover. The new TVS Phoenix 125 bike is available in red color Moroccan Red, Alaskan Green, Helsinki Black Silver, Belgian Black Red and Oxford Grey which is aimed to provide wide variety of options as per the taste of consumer.